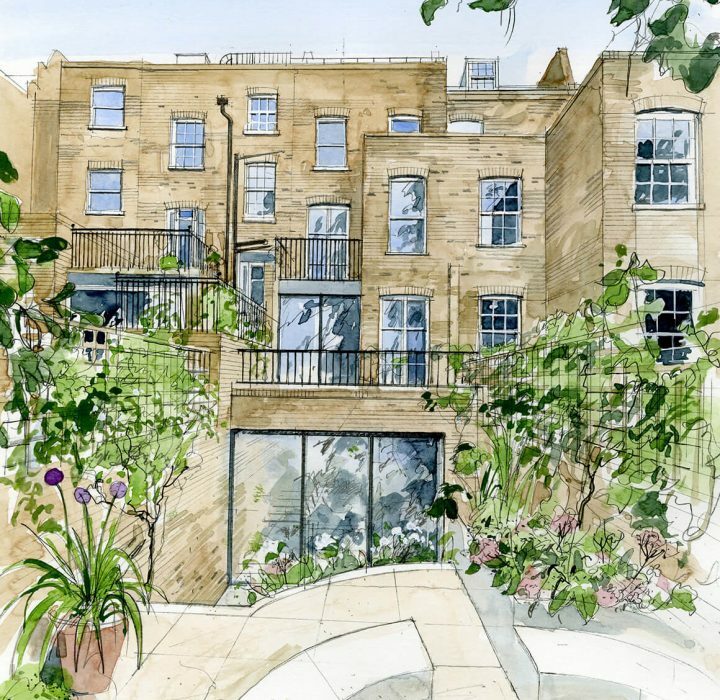 Studio Indigo are delighted to have achieved another Planning Consent within the Royal Borough of Kensington and Chelsea. The planning permission includes the renovation of a mid-terrace Georgian four-bedroom family townhouse. The intention is to remove the existing unsympathetic alterations to the rear and carefully restore the property to its original splendour. A full width lower ground floor extension is also proposed to house a large living space with floor to ceiling windows connecting the internal space to the external garden. Internally the layout will be redesigned and modernized to create open plan living and better circulation to suit the needs of a large family.